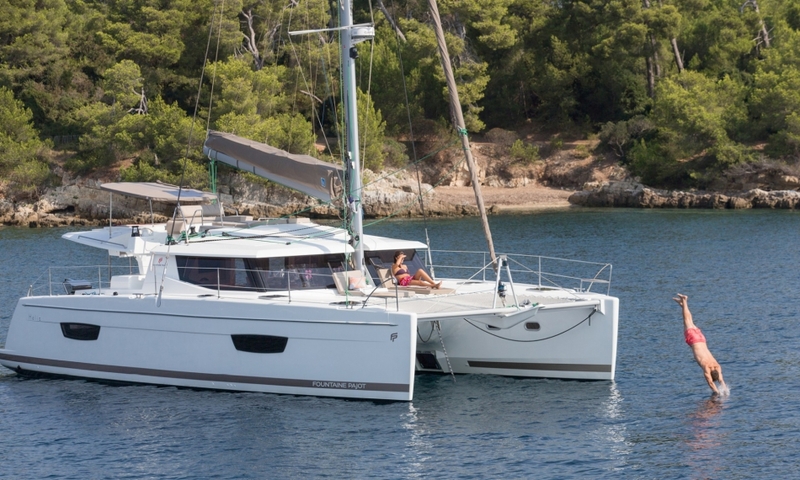 The new cruising catamaran Hélia 44 Evolutioninvites you to cruise in harmony with the beauty of your surrounds. 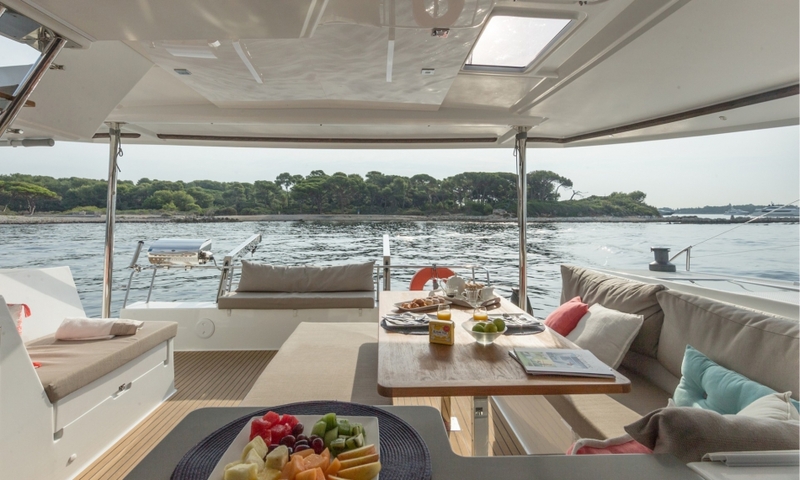 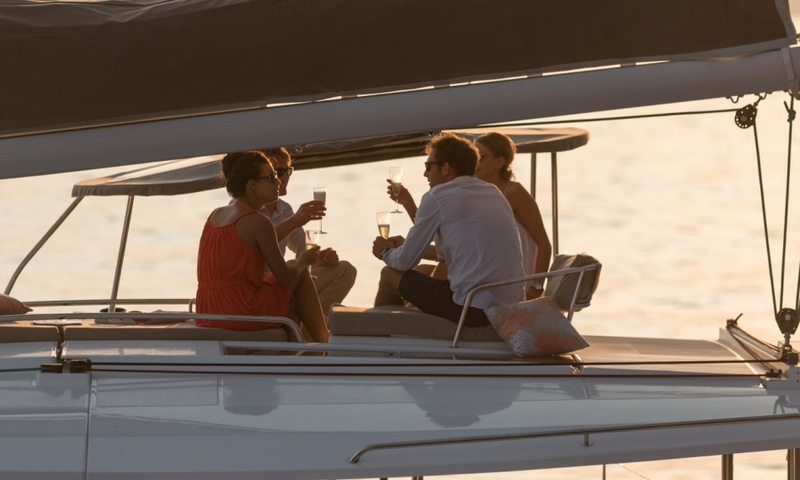 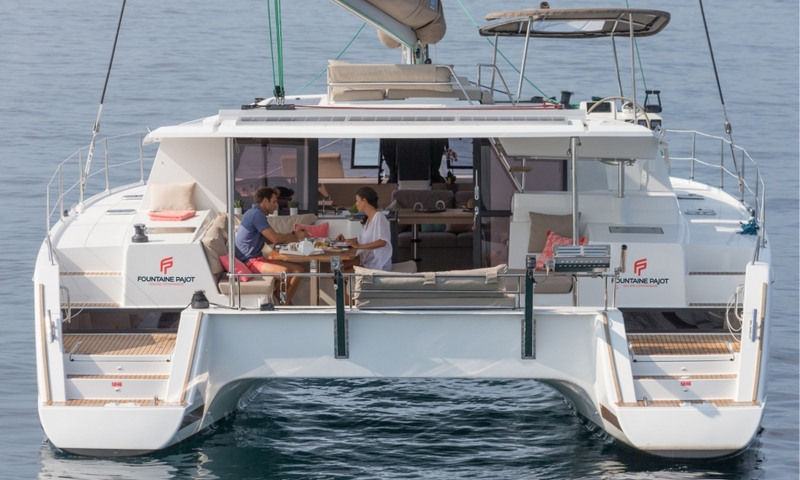 Designed for maximum living space and boasting beautiful natural light throughout its interior, this elegant and luxuriously appointed catamaran also delivers a dynamic performance at sea. 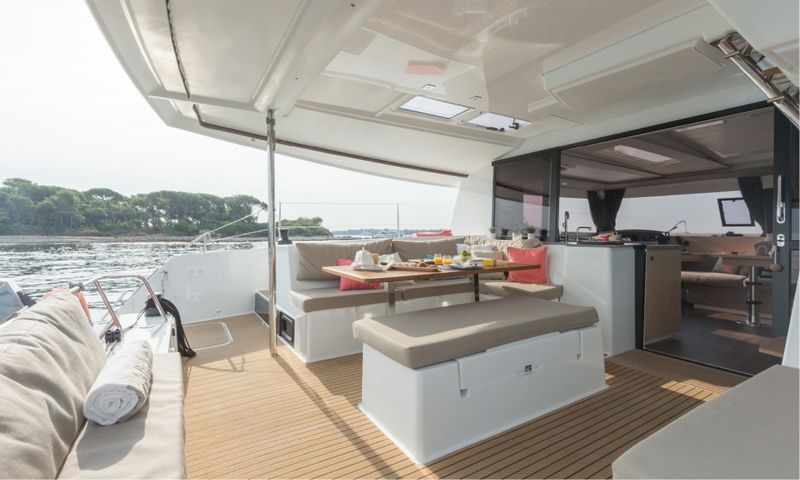 Immerse yourself in the panoramic 360° views made possible by the expansive saloon windows and integrated mast foot, marvel at the responsive handling in the spacious helmstation, or surrender your cares as you relax in the supremely cockpit or indulgent lounge deck. 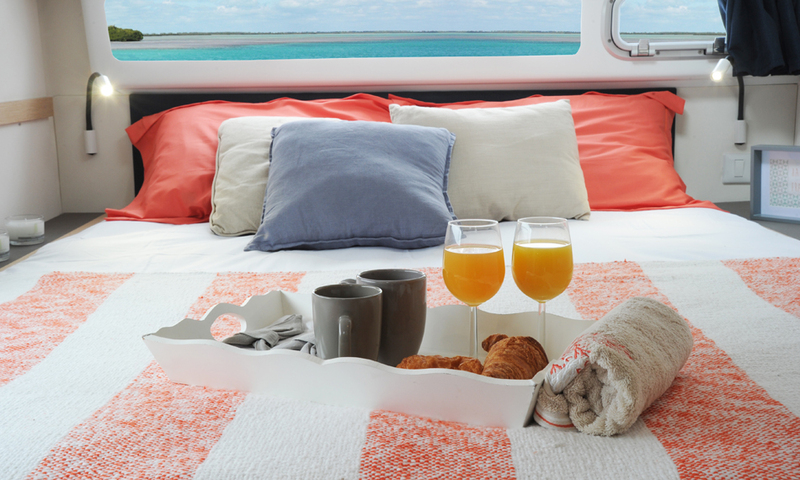 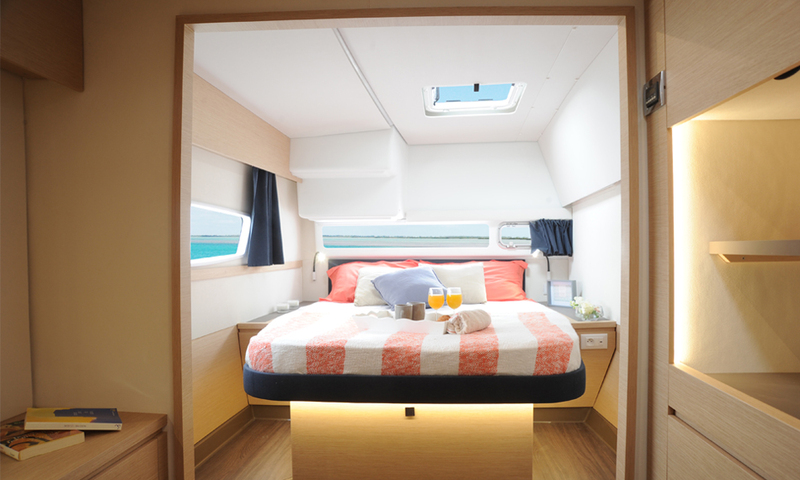 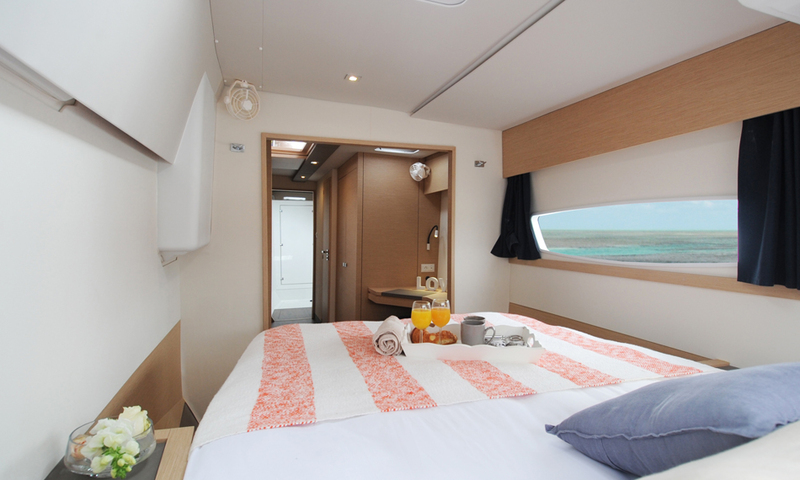 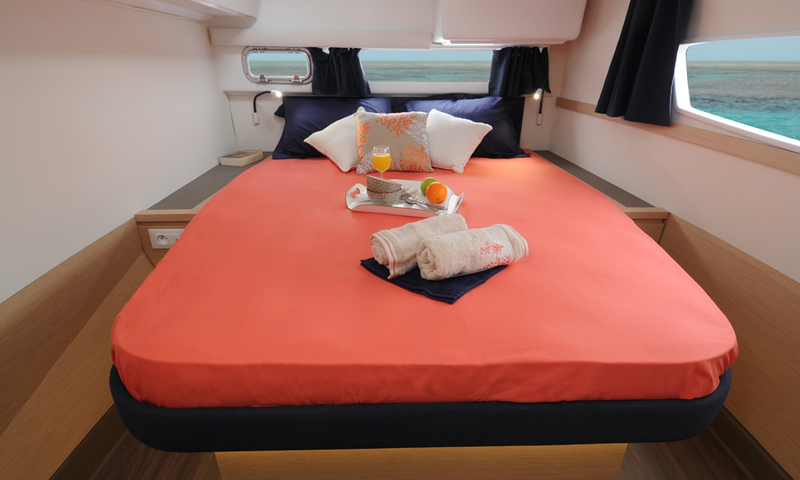 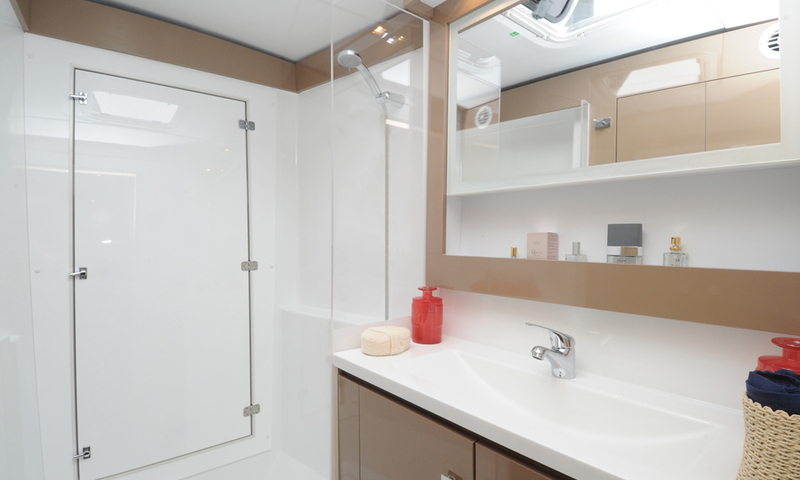 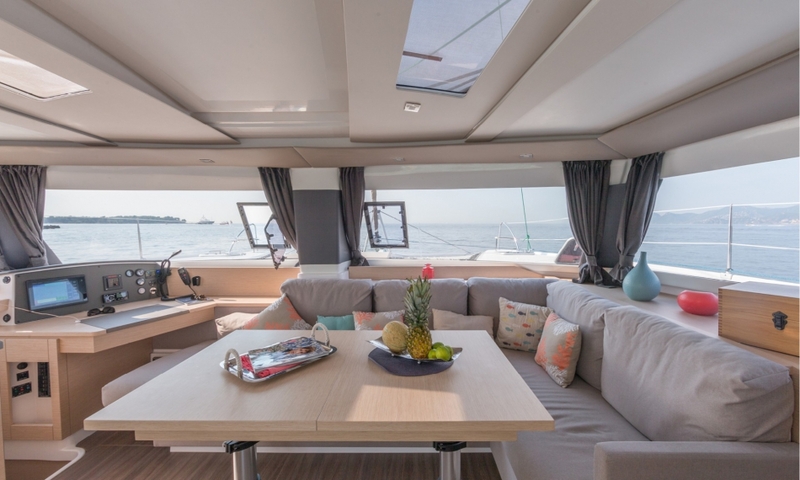 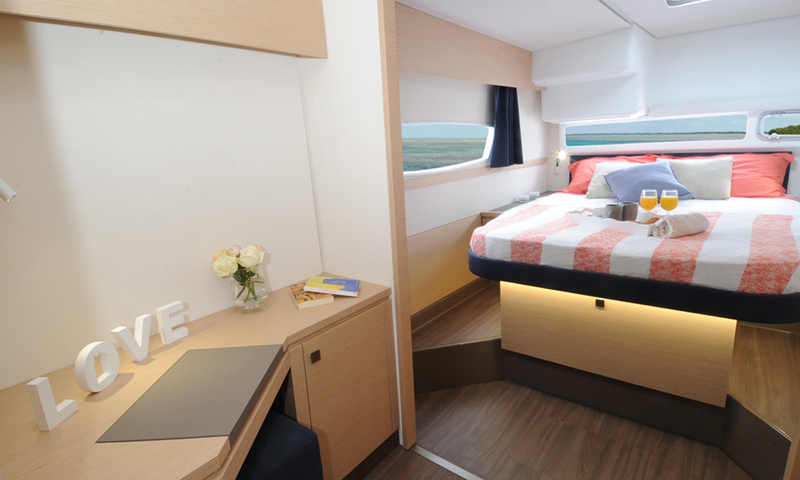 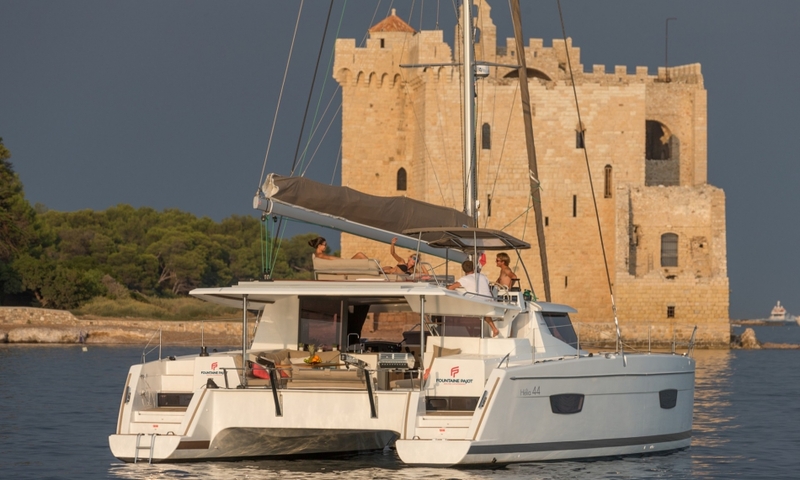 This cruising catamaran now has new features including an extra cockpit bench seat, additional davits, and a luxurious Italian-style bathroom with separate toilet in the majestic Owner’s suite. 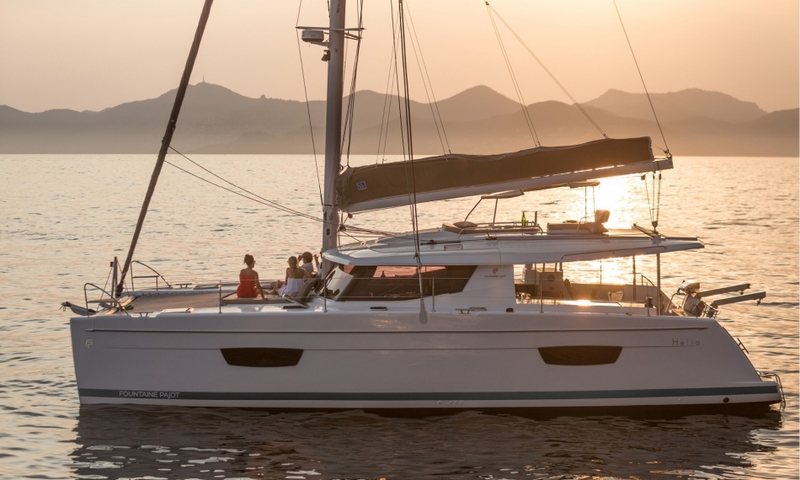 Worthy of our prestigious Flagship status, the Hélia 44 Evolution represents an entirely new level in cruising lifestyles.